This is the story of my book, a detective thriller with a premise deeply rooted in genetics, and why, 4 years and so many agents later I decided to self-publish. First off I should tell you that I'm still happily signed with my current agent who's been my greatest supporter throughout this literary adventure of mine, even before I signed with her. I've always been fascinated by genetics. A lot of sci-fi books deal with genetically engineered humans. But what I find fascinating is that 80% of the genes that would turn us back into animals are already in our DNA. They are just inactivated. The inspiration for CHIMERAS was the following question: What if the pseudo-genes that control the vision and sense of smell of a predator were to be turned on again? What if some kind of mechanism had the ability to turn those pseudo-genes into genes again? Would an ordinary man suddenly become a... predator? And then I thought that these would be the perfect traits in a police investigator. That's how LAPD Detective Ulysses "track" Presius and his extraordinary sense of smell was born. Unfortunately I was a little impatient and I made the mistake that 99% of wanna-be authors make: I queried too soon the first time. However, I got the attention of a very successful and reputable agent who loved the idea but said I needed an editor. I thought it made sense since English is not my first language, so I contacted the editor he recommended. The editor had worked with some of the agent's clients, also non-native speakers. The editor turned out to be a total fluke and tried to rip me off. So I said, "Thank you, but no thank you." Back to square one. Eight months later I was ready to query again. I sent out a first batch of 12 queries to the top notch agencies in NY. No takers. So I sent another 12. This time I started receiving the first requests. I sent another 12, and then another 12. I think in the end I was close to eighty queries. Three months later I got my first offer of representation. After that they kept coming. I had eight offers and was dizzy with excitement. Somebody liked my book! CHIMERAS was on submission for two years through two different agents. I had no problem finding agents. Publishers, though, was another story. My book is a hard-boiled detective thriller, and my main character is a modern Philip Marlowe with a genetic twist. If all editors kept hitting the same nail, I would've known where the problem was. But some requests were at the opposite ends. Some made sense, others didn't. I fulfilled the requests that made sense and ignored the others. If you don't fall in love with your story and characters, how are you going to make readers fall in love with them? You might try and write something trendy, but great stories aren't made with the head only. Great stories are made from the heart. And believe me, readers can tell stories that are made from the heart from the others. So that's why, two years later, I decided to pull the book off the submission table and self-publish. Yes, self-publishing is scary. And yes, it requires a lot of work. But it also gives you the freedom to make your own choices, to fulfill your own story. I'm publishing my book so I can finally claim that Track Presius -- and most importantly his quirks and uniqueness -- is mine. Whatever happens, I remained true to my story, and that feels good. 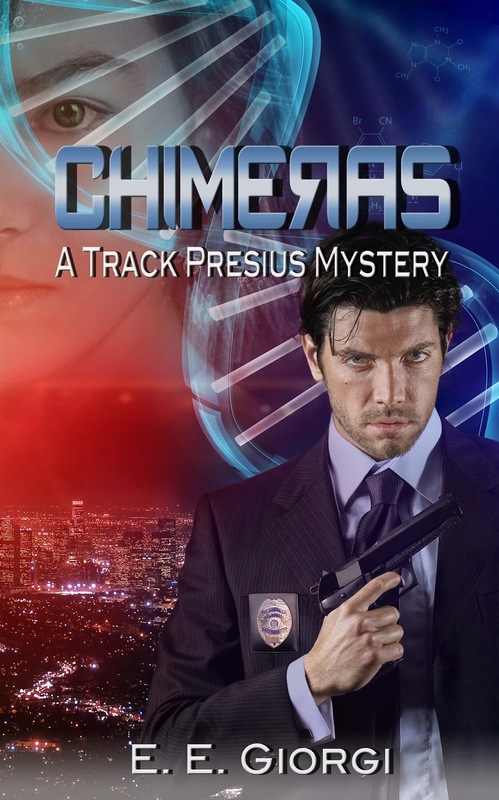 CHIMERAS is the first in a detective thriller series featuring LAPD Detective Track Presius. Book Description: Haunted by the girl he couldn't save in his youth, and the murder he committed to avenge her, Detective Track Presius has a unique gift: the vision and sense of smell of a predator. When a series of apparently unrelated murders reel him into the depths of genetic research, Track feels more than a call to duty. Children are dying -- children who, like himself, could have been healthy, and yet something, at some point, went terribly wrong. For Track, saving the innocent becomes a quest for redemption. The only way he can come to terms with his dark past is to understand his true nature. E.E. 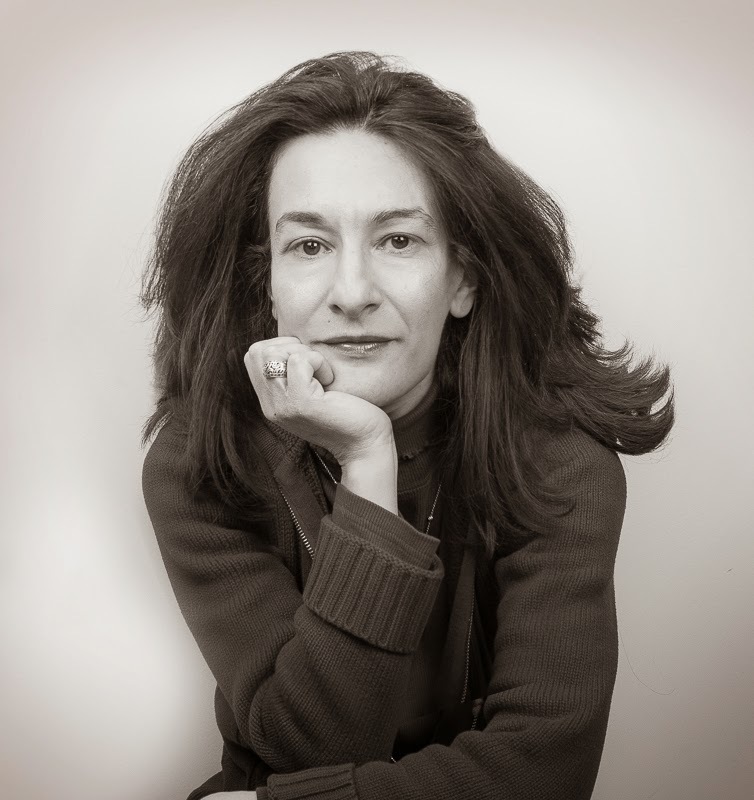 Giorgi is a scientist, a writer, and a photographer. She spends her days analyzing genetic data, her evenings chasing sunsets, and her nights pretending she's somebody else. On her blog, E.E. discusses science for the curious mind, especially the kind that sparks fantastic premises and engaging stories. Her detective thriller CHIMERAS, a hard-boiled police procedural with a genetic twist, is now available on Amazon. What a shame so many agents liked it but no publishers. I wonder what a small publisher would have thought since they are more likely to take a risk. The story was obviously great, so good for you that you decided to self-publish it! thanks, Alex! you know, I'm so happy with the decision I made to self-publish that I think it's even better than going with a small publisher. We'll see how things turn out, of course. and actually we had interest from a small publisher but they were going through some changes and we had to wait before they could make an official offer and at that point I was kinda tired of the waiting game ... Again, it's too early to say if my decision was right or wrong, but I'd been waiting so long to have readers and now that I do, that feeling is priceless! thanks so much Chrys for giving me the opportunity to tell my story! I'm sure self publishing is still full of bad writing, but every workshop I have taken with the North Carolina Writers Network stress spending money on editing and a good cover. I published my e-book with #Book Baby and had a good experience. The 60 day delay from the end of the current month on book sales is annoying, but I recommend them nonetheless. Congrats on your corner of the writing world. Interesting and different. Thank you for visiting and leaving E.E. a comment, Stepheny! You know, the self-published book I see in my genre (technothrillers) are all amazingly good! I discovered so many talents just by browsing the amazon top 100 technothriller and in the top 10 alone 5 were self-published and going strong, been there in the top 10 for months.... so I think the trend is definitely changing! Isn't it any amazing story? It proves that if you struggle to get published traditionally, you can self-publish and keep all control. There is no perfect book. The Bible has mispelled words. E.E. I share your experiences with querying agents and publishers, along with its ups and downs. I am in the process of a crowdfunding campaign through Pubslush to help me semi-selfpublish. I like the sound of your novel and the way it incorporates elements that are very close to your heart. I wish you well with Chimeras. Thanks a lot for sharing this post with us today Chrys! thanks, Stephanie! best of luck to you too! I'll be following your progress! Congratulations on doing it your way! I now wonder why so many people still want to go the traditional publishing route when it moves so slowly, many writers are compelled to rewrite just to be more commercial or fit into a trend, and a lot of good books are rejected because they're not hot enough. Thank you for stopping by to read E.E. 's post, Carrie-Anne! Because they _think_ they're not hot enough, Carrie-Anne, but evidently they aren't getting it right: Matthew Mather has sold movie rights for his book Cyberstorm and he too was rejected by acquiring editors. They must be chewing their knuckles right now. Great post! Your book sounds fantastic! Congratulations on sel publishing . It is an arduous process. Nice share. I would love to read it. I'm super happy E.E. is my guest so she could share her story here. :) Thanks for visiting, Lisa! Sounds like an exasperating yet informative journey. Best of luck with the book! I really envy your success with agents, E.E. That must have felt awesome, even though the process with publishers was frustrating. I'm always happy to hear about any author's success, especially with self-publishing, as I suspect my books are too different to be an easy sell. Thank you for leaving E.E. a comment! One long process indeed, self publishing does cut a lot of that out, Nice when tons of agents likes it too, crummy publishers. Never thought about all the genes already being there,. The very thought of publishing (any kind) is scary, probably self publishing more so. The book, however, sounds very interesting. I'm curious how her agent factors in now that she's self-publishing. An agent doesn't get a cut of that. So will the agent continue to query publishers with her other works? Awesome guest post! E.E. 's book sounds so interesting! I'm glad she remained true to herself, the book, and the characters in it! Congrats, EE! It was definitely a brave decision as having got to that point, many would have chosen to go with the agents' requests. If it didn't feel right for the story then you did the right thing. The business of altering genes is pretty fascinating for me, so it's a great premise. Congrats on the book EE--sounds like it is right up my alley. Those former police can be excellent advisors. I have a few authors that have picked my brain on projects--it is always fun to see a story develop. I hope you are having a nice weekend Chrys. And thanks, I am having a nice weekend. I hope you are, too! Happy Memorial Day! Somehow I can no longer reply individually, so I'm going to address the comments here. And thank you all for the lovely comments and thanks again Chrys for hosting me. How did you choose Track's name? There's bound to be a back story on that, or is it the subject of another blog? That would be an interesting tidbit to know if there is a back story. Hopefully, EE, will share that with us one day.